2015 Ford F-150 Platinum for sale in Vernon, Kelowna, Okanagan, BC. A satin three-bar grille with chrome accent proudly displays the Ford badge on the 2015 Ford F-150 Platinum. At first glance, a chrome front bumper and satin grille surround and insert make a bold statement. Body-coloured heated power mirrors and LED approach lamps and spotlights provide functionality on this truck. Enjoy easy access with the tailgate step and remote tailgate release along with available box side steps. Choose your favourite colour and add a moonroof for a customized fun look. Select either the 5-1/2' or 6-1/2' box to fit your needs. 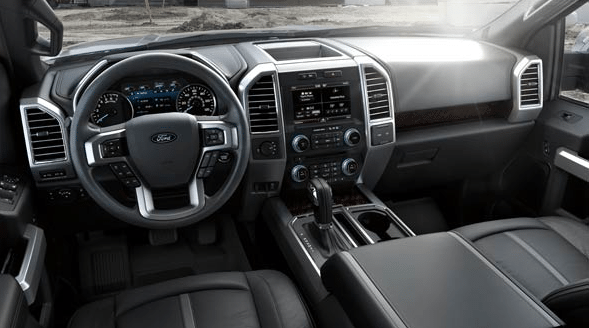 Inside the 2015 Ford F-150 Platinum, you will enjoy supreme comfort with dual-zone climate control and heated and cooled front seats. Heated rear seats make your passengers happy, too. Even long drives are more enjoyable with the ten-way power adjustable driver seat with memory. Keep your hands warm in cold weather with the heated leather-wrapped steering wheel that comes with tilt/telescoping. Advanced technology enhances your drives with SYNC® with MyFord Touch® and voice-activated navigation, a backup camera and a reverse sensing system for added safety. Two engine choices give you more options with the 2015 Ford F-150 Platinum. Enjoy improved economy with the 3.5L EcoBoost® engine or experience exceptional power with the 5.0L engine. Both are paired with the SelectShift® automatic transmission and the four-wheel drive system. Hauling equipment is easier with trailer sway control and a trailer brake controller. The award-winning 2015 Ford F-150 Platinum is recognized for its design and capability. 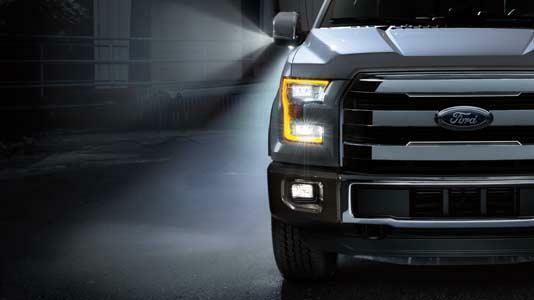 Advanced safety features keep you safe when you drive the 2015 Ford F-150 Platinum. Your 2015 Ford F-150 Platinum comes with a solid Ford warranty. 2015 Ford F-150 Platinum for sale in Vernon, Kelowna, Okanagan Valley, B.C. Get the job done easier and faster with the 2015 Ford F-150 Platinum. This work truck provides the capability and durability you want. At the end of the day, drive home in comfort with a truck that focuses on you. Check out the 2015 Ford F-150 Platinum from your local Okanagan Ford Dealer – Watkin Motors Ford. See what other models are available if you live in the Okanagan Valley area. With a large selection of new and used models, Watkin Motors Ford has just what you need.